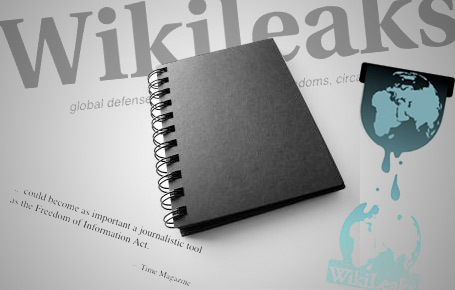 Wikileaks will accept restricted or censored material of political, ethical, diplomatic or historical significance. We do not accept rumor, opinion, other kinds of first hand accounts or material that is publicly available elsewhere. This is because our journalists write news stories based on the material, and then provide a link to the supporting documentation to prove our stories are true. It's not news if it has been publicly available elsewhere first, and we are a news organisation. However, from time to time, the editors may re-publish material that has been made public previously elsewhere if the information is in the public interest but did not have proper news analysis when first released. You can also chat to us online and we will answer any questions or solve any problems you might have with submitting (https://chat.wikileaks.org) (Currently temporarily closed with the electronic drop box for re-engineering.) Our chat is designed to be secure and anonymous. Visitors are protected by many layers of security. They can not see each other. There is a mechanism in place to stop logging and the server forbids potentially dangerous commands that could reveal other user's identity. Communication is secured with SSL encryption. Post your information to one of our trusted truth facilitators listed below. You may post to whatever country in the list that you feel most suitable given the nature of the material and your postal service. If your country's mail system is unreliable, you may wish to send multiple copies, use DHL, FedEX or another postal courier service.